Check out Tobi's Nobody's Business Tapered Pants Be a trendsetter in the Nobody's Business Black Tapered Pants. 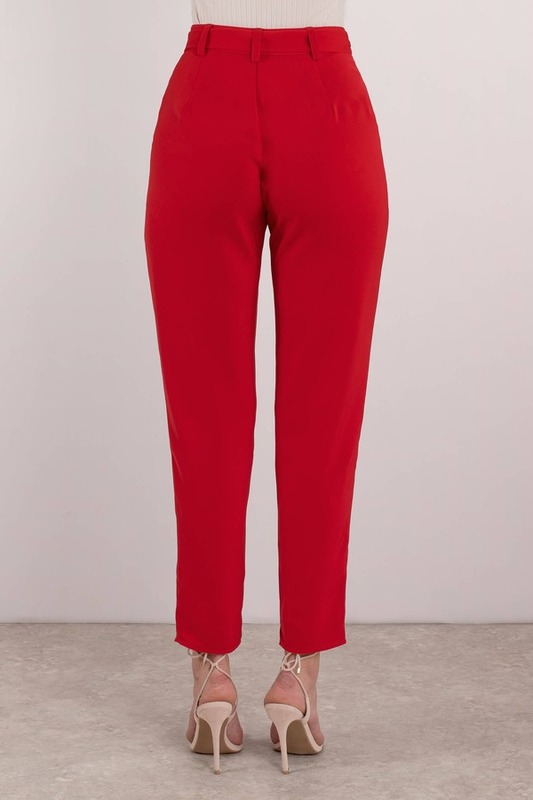 These belted trousers feature a high waist, pockets, ankle length, and a tie belt. Pair these belted trousers with a flowy blouse for a perfect office 'fit. 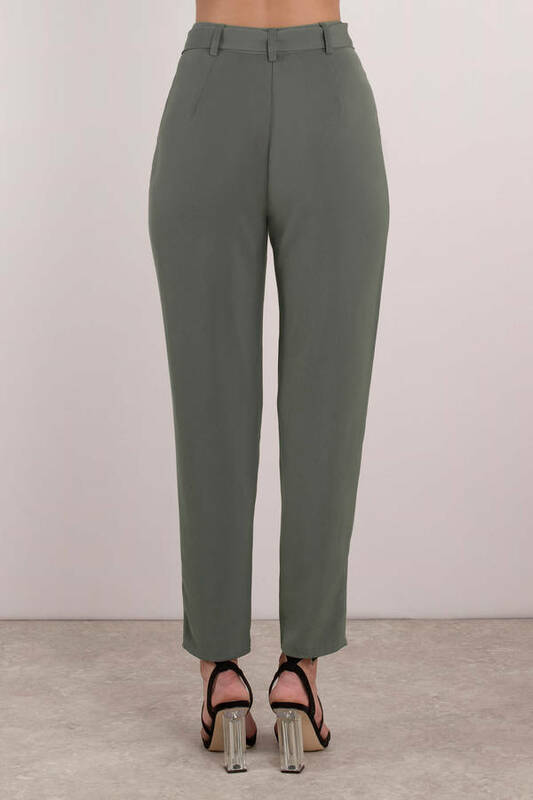 Be a trendsetter in the Nobody's Business Olive Tapered Pants. These belted trousers feature a high waist, pockets, ankle length, and a tie belt. Pair these belted trousers with a flowy blouse for a perfect office 'fit. Be a trendsetter in the Nobody's Business Black Tapered Pants. 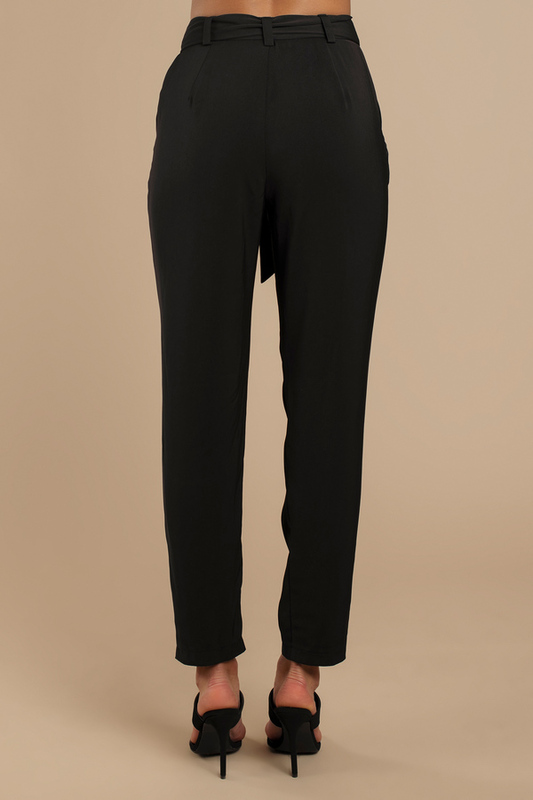 These belted trousers feature a high waist, pockets, ankle length, and a tie belt. Pair these belted trousers with a flowy blouse for a perfect office 'fit. 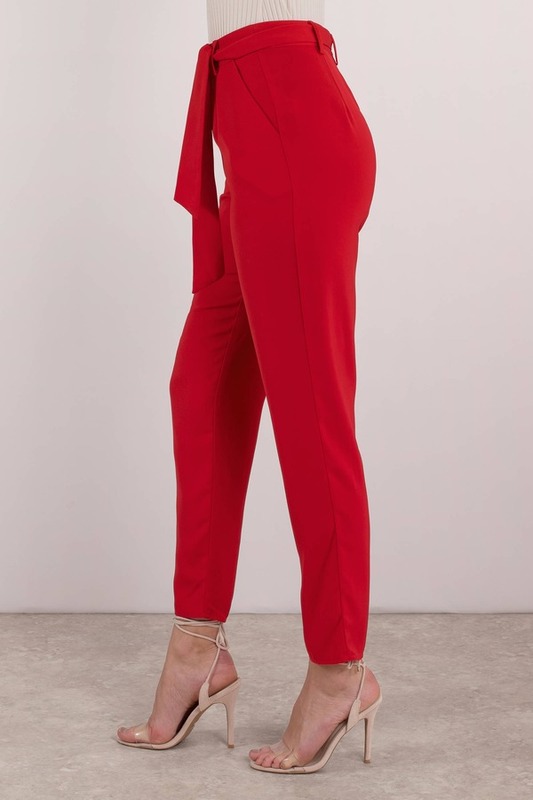 Be a trendsetter in the Nobody's Business Red Tapered Pants. 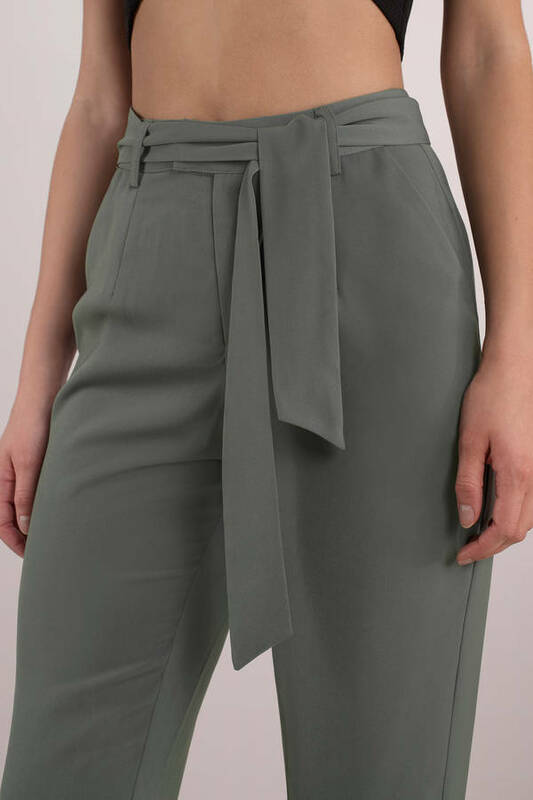 These belted trousers feature a high waist, pockets, ankle length, and a tie belt. Pair these belted trousers with a flowy blouse for a perfect office 'fit. Be a trendsetter in the Nobody's Business Khaki Tapered Pants. 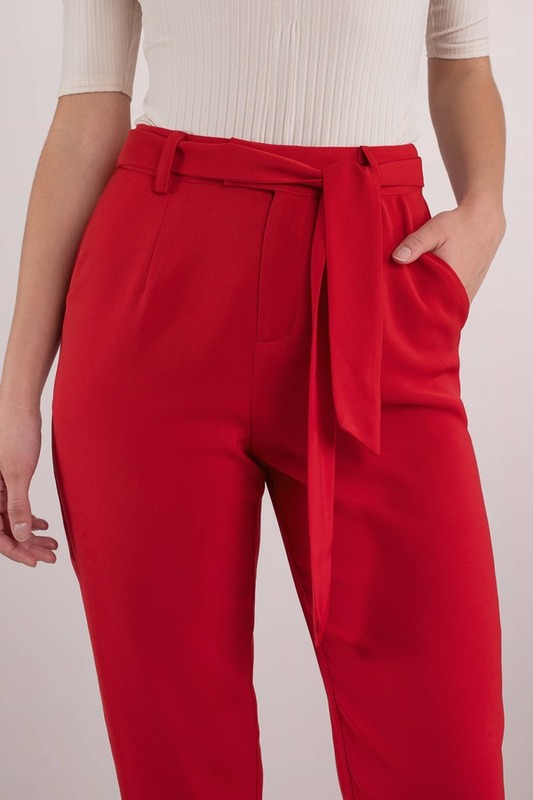 These belted trousers feature a high waist, pockets, ankle length, and a tie belt. Pair these belted trousers with a flowy blouse for a perfect office 'fit. Khaki modeled on a size Small.